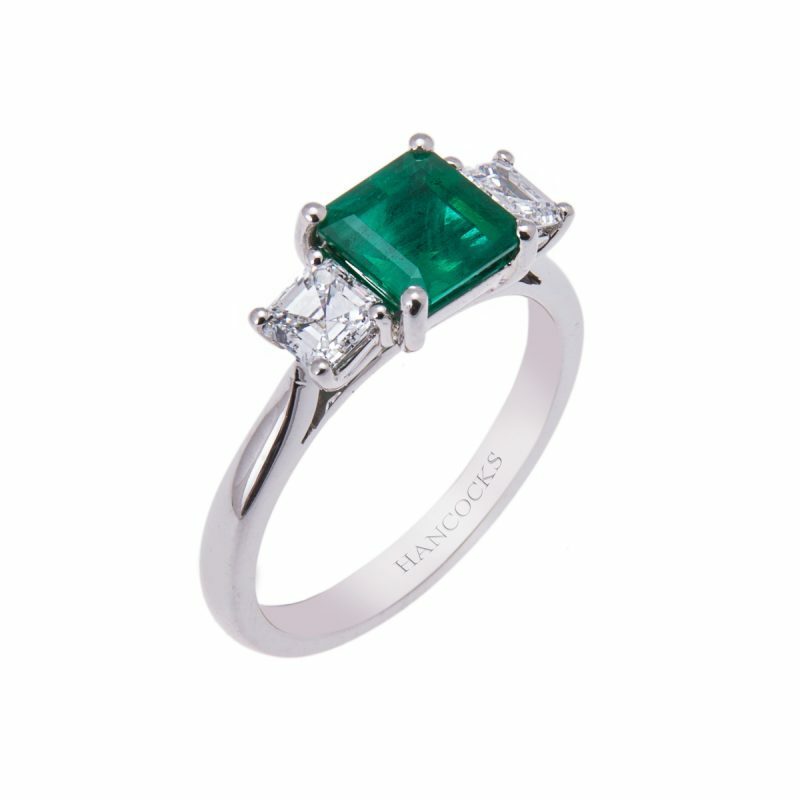 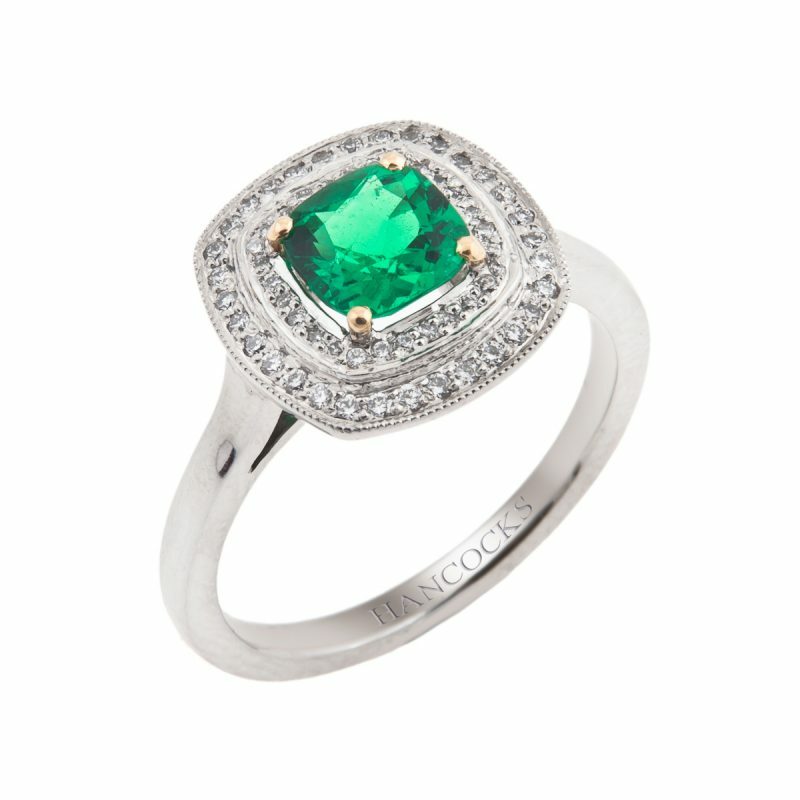 Streamlined sophistication and stylised lines, this platinum emerald ring will not disappoint its elegant owner. 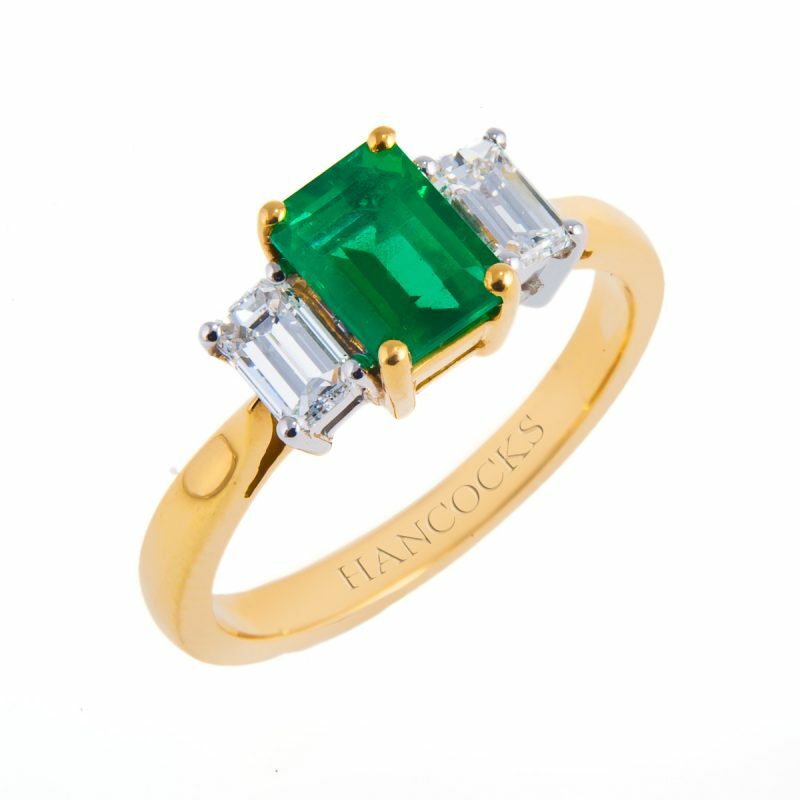 An emerald fashioned into the cut that bears its name, supported by a matched pair of glittering diamonds. 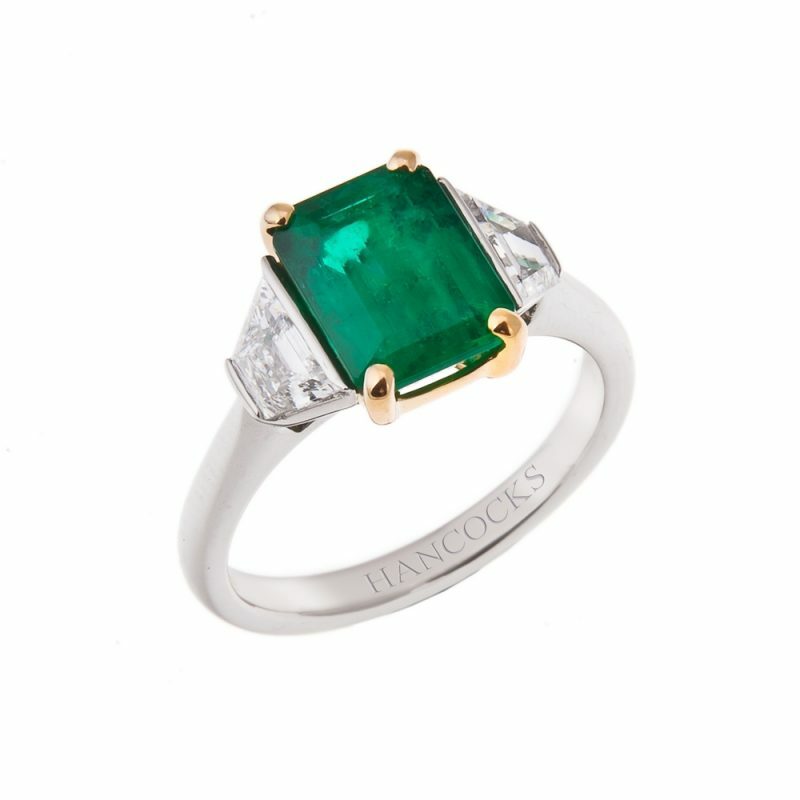 So fine is the colour and purity of this Columbian emerald, which has been certificated as natural by the IGL. 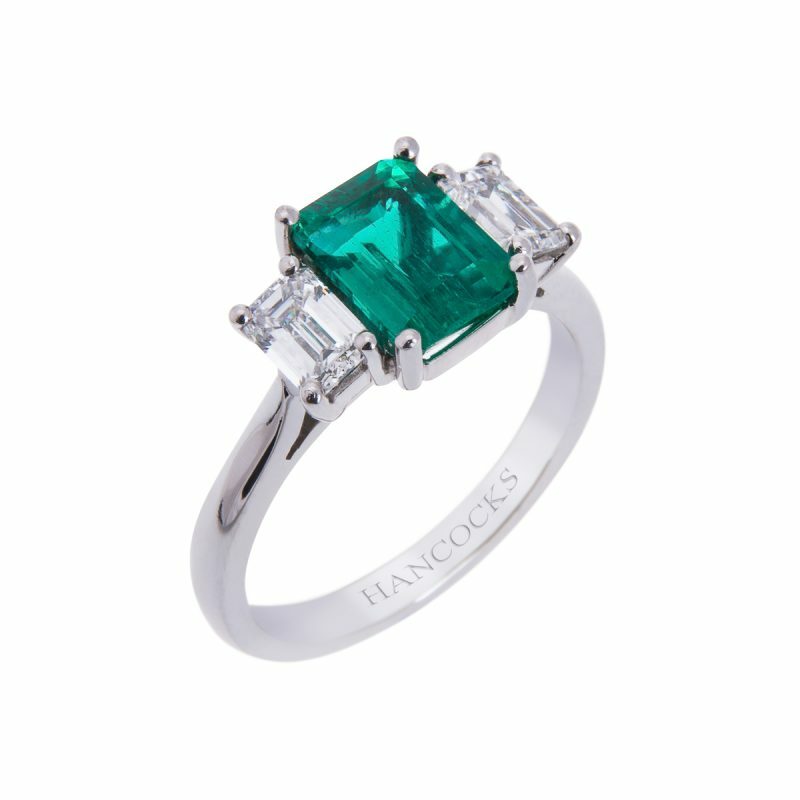 Its vivid green, the colour of panther’s eyes will transport the possessor to the age of glamour.